The story of Mega Prison: Build, Construct & Cargo Simulator 3D game revolves around the designing and construction of a Prison. You are good in designing so the jailer of the Prison contacted with you for this purpose in this builder tycoon simulator. Now it’s your responsibility to do in the possible time and possible way. 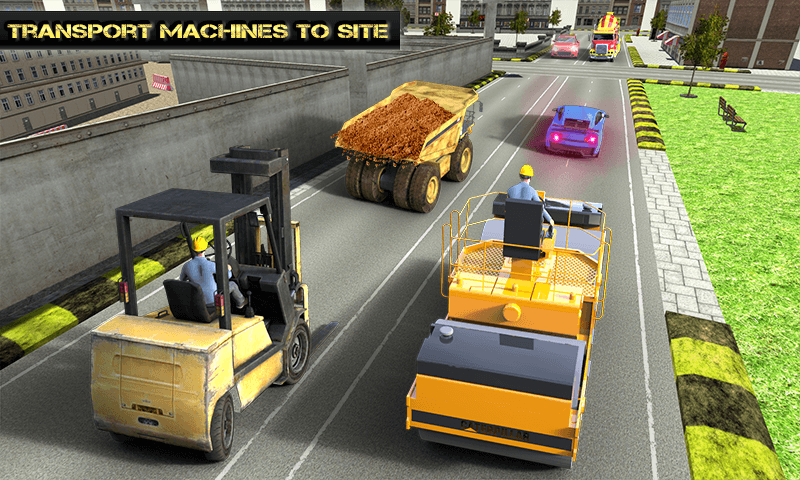 The first of mega city Prison construction games is to plane the surface with the help of road roller. Once you are done with it you will move towards the loader to take walls in the site in town building game and pick those walls and place them. Then you need to dig the area by using the excavator to make aquarium in construction parts. You have to fill digging area with water in this Prison Construction game. And place glass floor in digging area. Now your duty is turned towards designing this Prison Construction skill. You need to paint the floor to make it beautiful and place the roof of the Prison.